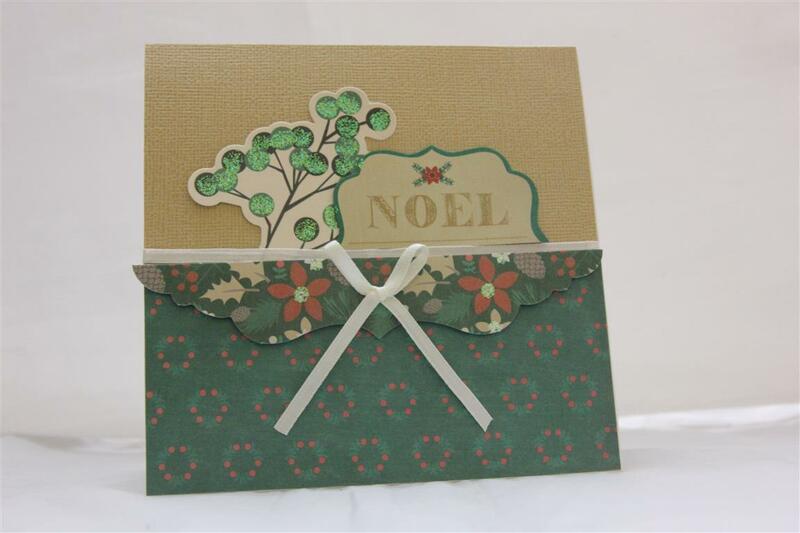 A really easy one , this one… a piece of simple stories december documented, layered on to a card blank made from a piece of stampin up cardstock, and decorated with a ribbon bow and some kindyglitz.Nice and quick… til tomorrow…. Sorry this one is a wee bit dark! 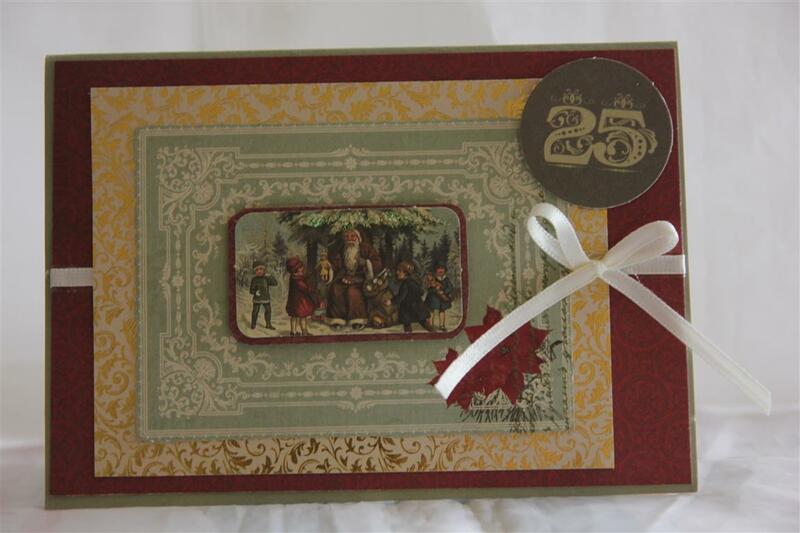 The paper collection is Kaisercraft St. Nicholas, and the matching collectables, and I used a spellbinders timeless rectangle. some fancy ribbon and a christmassy floral spray to finish. in a rush tonight – cooking and shopping ….. til tomorrow…. This months release from kaisercraft includes this collection of papers – Sty. Nicholas. My favourite as it’s vintage themed. Here I have used the 6″ paper pad, and the frame is from a piece of the 12 x 12 paper. The image is from the matching collectables pack. 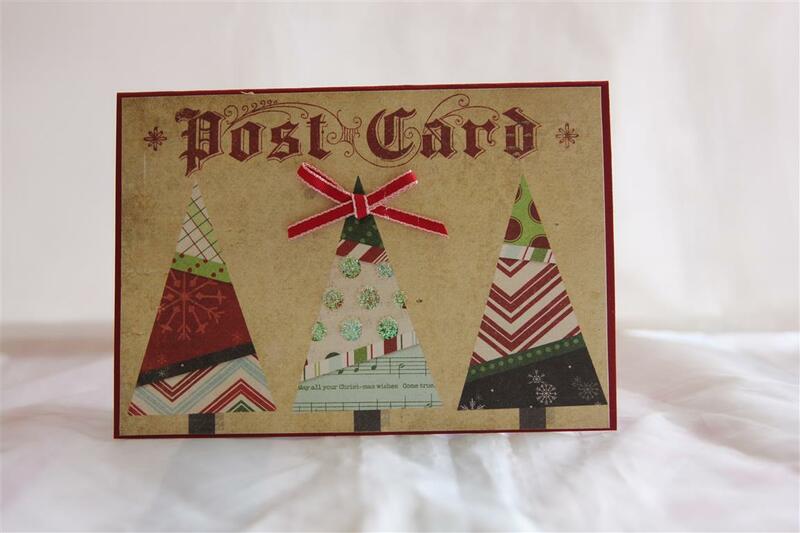 I have been very on and off with my christmas making this year – not too inspired by the christmas releases so far, but have just realised we are nearly into october and I need to make approximately 400 cards , with one order for 50 already, so over the next couple of weeks it’s all about christmas for me! Now to find that christmas spirit…. Til tomorrow…. I found some wallpaper sample books in the bottom of my cupboard,some gorgeous papers in there! and so I have used a few to make some christmas cards .So the papers here are from my wallpaper sample book, and I used my madison window die, and a stampin up stamp set for the view from the window – A wish for peace – added a little glitter to the stamped image for interest.I have been scrapbooking today – not something I normally do, but it’s back to cardmaking now! Til tomorrow…. 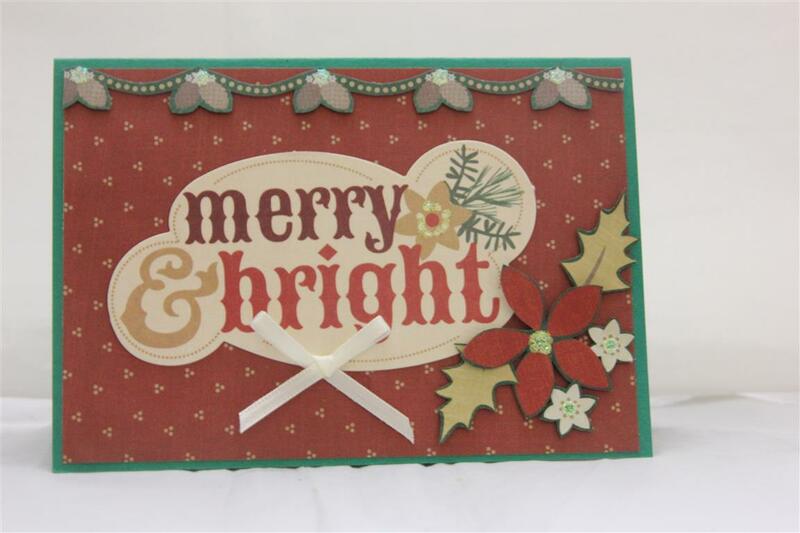 Our internet outage is over for now, so I thought I would post 2 cards today, we have had so many outages lately that I have a backlog of cards to post and I feel we have been on this series for long enough – so here are the last two cards in my Kaisercraft Holly Bright series. The card at the bottom uses a piece of paper from the 6″ pad for the background, a tag from the matching pack of collectables, and a greeting cut from the 12 x 12 paper that has greetings printed all over it. I just added a cream ribbon bow. The card on the top also has a sheet from the paper pad for the background, and I fussy cut the pine garland from a sheet of 12 x 12 paper, and also the flowers. 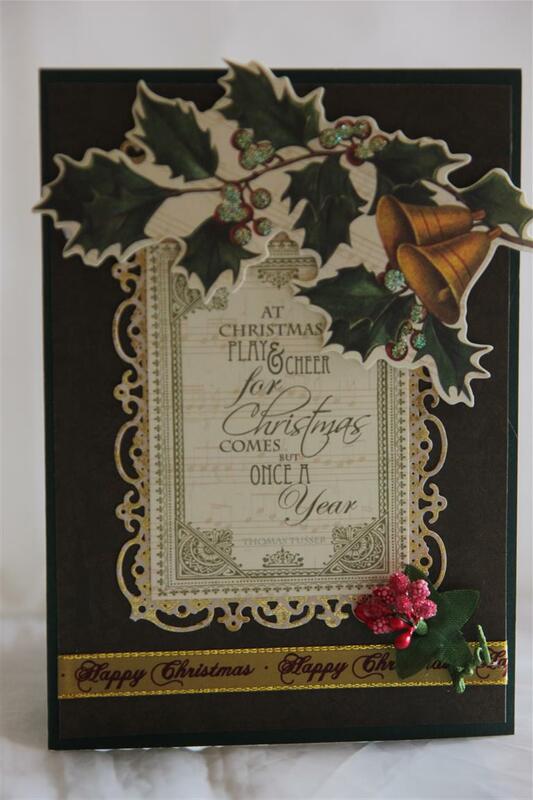 the greeting is from the pack of collectables.Today in the craft room I have been jumping around from one project to another – too many ideas and not enough time! til tomorrow…. 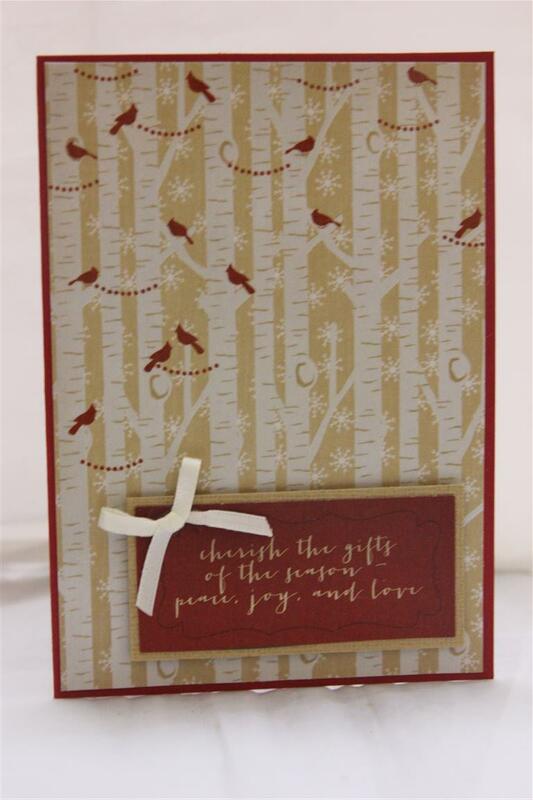 A square card today, and I covered the base with a dark beige piece of kaisercard – I can’t remember the name of the colour , but it works well with this range of kaisercraft Holly Bright paper. I used a push out and a piecs of patterned paper from the 6″ pad, popped a mistletoe collectable behind, and cut a greeting from the 12 x 12 paper that has 36 different greetings on it( Great value). Some ribbon across the join, and a bow and we are done. Terrific class today, creating with this range of paper,and now I am off to the craft room to sit down and see what happens! Til tomorrow…. 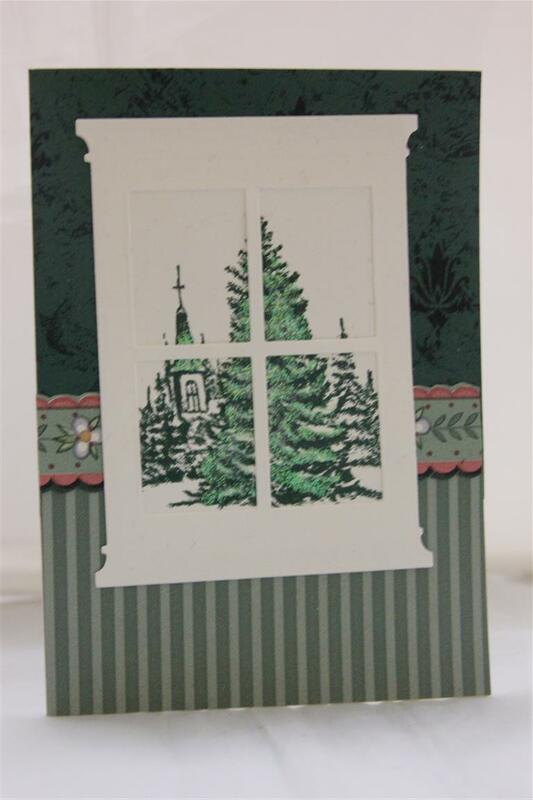 Here is number 2, made with kaisercraft Holly Bright – 6″paper pad, and the 12 x 12 sheet in the same collection that has all the greetings on it. I did a little bit of matting, and added a cream ribbon for this simple card. Another cold night here, so once again it’s just a night in front of the heater and TV! Til tomorrow…..